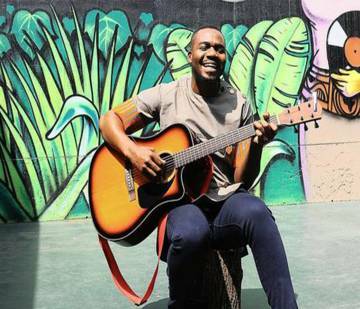 South Africa-based Afro-Soul musician Bekezela Nkomo says he has a lot of work to do in order for Zimbabweans to know his music. Although he is making a name for himself in the neighbouring country where he is signed under Muthaland, Gwanda-born Bekezela wants those back home to be familiar with his music. Speaking at the Zim Achievers Awards held in South Africa two weeks ago, Bekezela who was nominated in the Musician of the year category said most people seem to think that he is a South African, something he wants to rectify. “I have to work on the exposure of my brand to Zimbabweans as 90 percent of the people who were at the Zim Achievers Awards didn’t know who I was until I performed Bekezela. “Even then, some were shocked I was Zimbabwean,” Bekezela said. He said being unknown was the reason why he missed out on the Zim Achievers Award. “I won the hearts of many at the awards but Berita (Khumalo) beat me to the Musician of the Year award likely because people thought I was a South African,” he said. To try and get people to know him, Bekezela has been performing in Bulawayo each time he visits the city, something which seems to be working in his favour as he is slowly building a fan base here.